HARTA (5168) bull run from RM5.00 to RM7.39 (+47.7%). 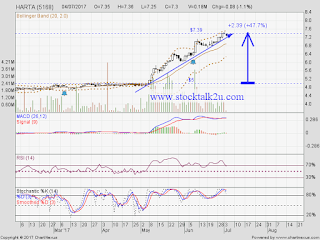 Will it consolidate sideway before go higher? Immediate support @ RM7.00 level. Subsequent support @ RM6.70 level. 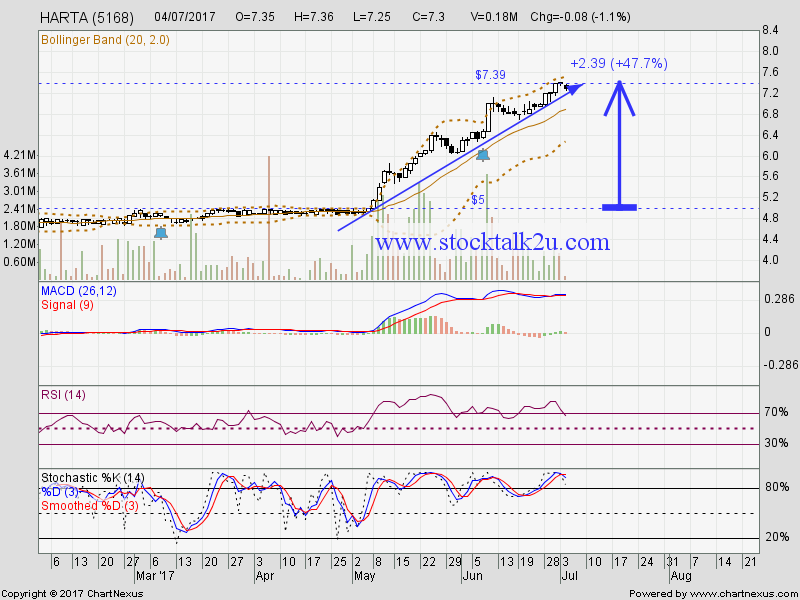 If breakout RM7.39 level, higher high is confirmed. Uptrend will resume. Ringgit get's weak against high fluctuating. Get "Bursa malaysia trading signals"